Peter Mitchell Rubin is a storyboard artist, an illustrator and a conceptual designer. He worked as production illustrator and made the animated video playback effects on the 1994 feature film Stargate. In an interview with the Film Sketchr website, Rubin told that Roland Emmerich was helpful for him when Rubin wanted to standardize the use of CGI illustration. They shared the cost of all computing material, and Rubin used it first for Stargate. He "did storyboards, which were eye-opening, and temp VFX, and video-playback animation, and color comps, and pre-vis...". He worked on it for over a year until Emmerich choses what exactly he wanted for the movie. Rubin worked with Emmerich on three movies: Universal Soldier, Stargate, and Independence Day. STARGATE 1994 Concept Art and Storyboards by Patrick Tatopoulos and Peter Rubin on Film Sketchr website. ↑ Maurice Mitchell (December 26, 2011). "Exclusive: Peter Rubin Talks About Designing Logos for 'Man of Steel' and the Past and Future of Digital Design". Film Sketchr. 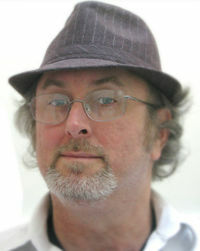 http://filmsketchr.blogspot.co.uk/2011/12/exclusive-peter-rubin-talks-about.html. Retrieved March 16, 2015. Facts about "Peter Mitchell Rubin"
This page was last edited on 17 March 2015, at 11:34.